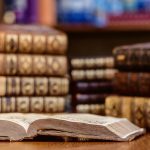 Litigation requires discovery of documents ranging from e-mail correspondence, photographs and hard-copy publications to Word documents and screenshots of Webpages. Here’s one way you can use a number of Quick Fields features to process and compile a high volume of various documents under tight deadlines. 1. Import all documents into Quick Fields. 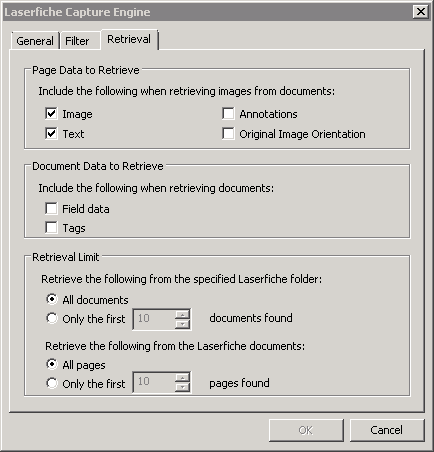 Use the Laserfiche Capture Engine to import all of your documents into Quick Fields from the Laserfiche Repository. In order to make document processing and organization more manageable later on, it is important that all of the documents that need to be processed are in a uniform file format. Since the TIFF format is generally accepted as an electronic archival format for text documents and provides high image quality, it is recommended to select that format for all of the documents. Documents that have previously been stored in Laserfiche should be already in TIFF format, while those which need to be scanned should be either saved automatically as TIFF files or converted. Moving documents to a “Processing Completed” folder. Tagging them with a “Processed and Stamped” tag to indicate that they were Bates stamped. This is done with the Post Processing action in the Capture Engine configuration dialog. Additionally, depending on the nature of the trial, you may or may not be required to include annotations made on the documents. The Retrieval tab can be configured so that annotations made on the documents are not included in the court filings. 2. 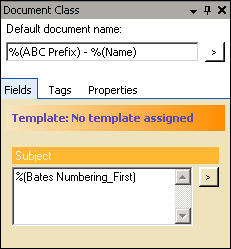 Use Bates Numbering to label documents. All documents presented as evidence in a court case need to be quickly accessible by all parties during the trial. Every page in evidence has a unique number called a Bates Number that allows every document to be identified in court. 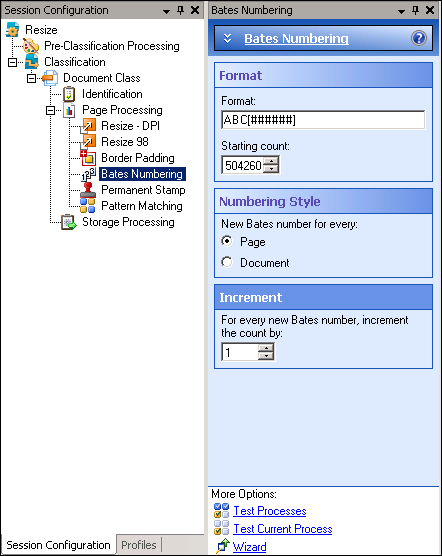 Using the Bates Numbering tool in Quick Fields, in conjunction with the Permanent Stamp tool, allows you to easily label each page of every document with the unique six-digit number and word combination. “ABC” references the company name. You can use any letter combination you like to identify your company. Every “#” stands for a different digit of a unique 6-digit number. If the number is fewer than 6 digits in length, the Bates Number tool will automatically add leading zeros to the number. The upper-case word (CONFIDENTIAL) identifies the document type. This word varies based on the document type (CONFIDENTIAL, HIGHLY CONFIDENTIAL – FOR ATTORNEY’S EYES ONLY etc.) Publicly available documents are simply tagged as “ABC######”. The Bates Number must be both sequential and unique, so the number is incremented by one on each page processed. Quick Fields allows you to apply these numbers in sets based on the document type. For example, you can save time by stamping all of the CONFIDENTIAL documents at once. 3. Permanently Stamp the Bates Number onto the document. After generating the Bates Number, litigation processes require physically stamping it onto each page. I recommend appending the Bates Number to the upper left corner of every document’s page using the Permanent Stamp tool, which both affixes the number onto the document in a uniform location and prevents it from ever being removed. You can find this tool in the same location as the Bates Numbering tool in Quick Fields. Since the size of the Permanent Stamp varies based upon the DPI, convert every file to the same resolution using the Resize process. In this case, the resolution is 300 DPI. This allows the Bates Number to appear the same size on every page. Resize every page to 98% of its initial size with a second Resize process. Add a white margin to the documents using the Border Padding tool in Quick Fields. This ensures that the Bates Number will paste in the white margin and avoid overlapping any part of the document during the stamping process. Because stamp positions are based on pixel coordinates, affix the stamp to the upper-left corner of every document since the pixel coordinates of that area are always known to be(0,0). 4. Fill in metadata with pattern matching. 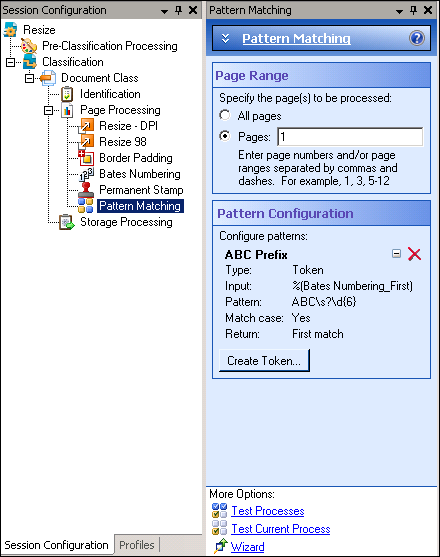 Use the Pattern Matching tool, which grabs the six-digit portion of the Bates Number and the text “ABC” and inserts it into the document’s template field as well as into the document’s file name. Leave any other text out of the field and name. Since each document page has its own Bates Number, use the Bates Number that was stamped onto the very first page. 5. 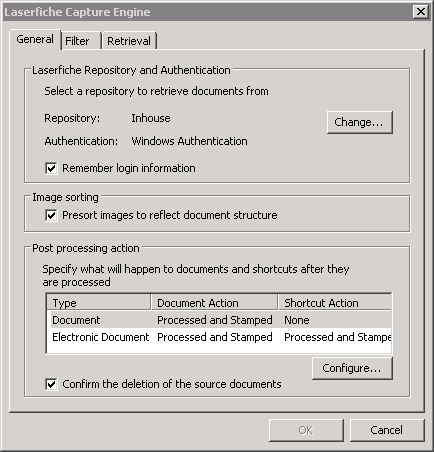 Store the new documents in the Laserfiche repository. Each document should be tagged to show that it has been processed. The file structure should be set up to sort the documents by content type (such as all “CONFIDENTIAL” documents in one folder, “HIGHLY CONFIDENTIAL” in another, etc.). When this process is completed, two copies of each document will exist in the Laserfiche repository: the original and the one with a Bates Number. A note about security: In order for this whole process to run smoothly, the user who generates the Quick Fields sessions must have access to the original documents as well as the initial and final document locations. Make sure to plan out the whole process ahead of time in order to implement the project in logical stages. The time required to convert electronic documents to TIFF is not trivial, so be sure to include that in your planning. Familiarize yourself with all the initial documents as well as their file formats, page sizes and orientations and resolution, etc. This will help you estimate how much time you will need to process the documents for Bates Numbering. 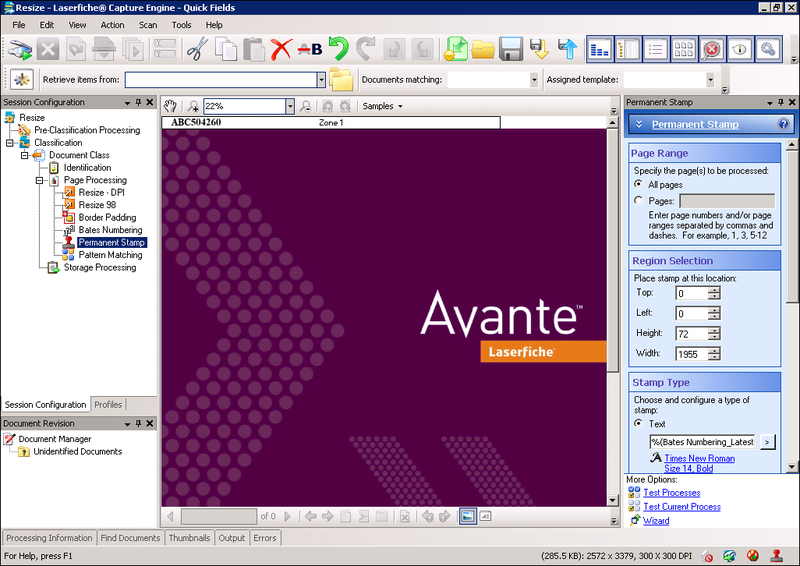 Standardize all of your documents to the same resolution. This is a very important step that is easily overlooked. Make sure you keep track of the Bates Numbers for each document and store the numbers in a template field in order to easily find the documents later. Pay close attention to file naming conventions.